Enjoy a perfectly brewed cup of coffee with Bialettis's ceramic pourover. Our modern take on a traditional coffee dripper subtly features the iconic 8-sided design if the Bialetti Moka express. The ceramic pourover offers functional simplicity and high design for those who desire a more controlled brewing method, while controlling the brewing time and temperature. Pourover coffee is a simple craft that is the most approachable and effective way to make a great cup of coffee. 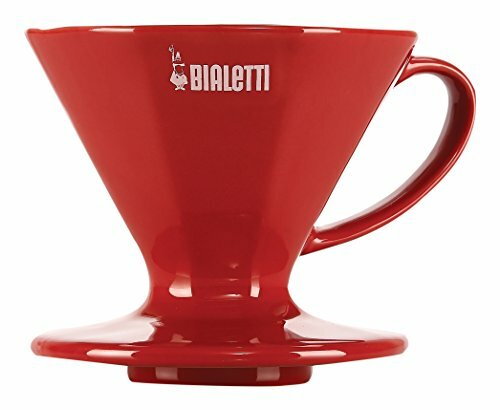 See what everyone is raving about today with Bialetti Pourover coffee dripper. Approachable and effective method of brewing a great cup of coffee.